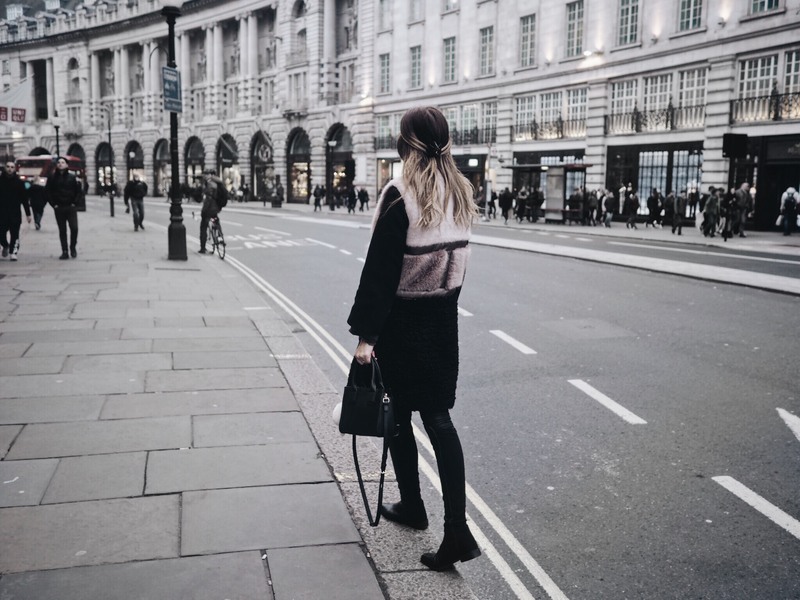 IM WEARING: Gilet URBAN CODE LONDON, coat & boots ZARA, bag KARL LAGERFELD. You know when February arrives and every year it's colder that month than January? I start believing that spring will never arrive at this point. I hate January and February the most out of the 12 months. They are just so depressing. But I am working hard this year, because I promised myself this is gonna be my year! It's also the year of the rooster, which is the year I was born. Let's hope it's a lucky one. I had a lovely dinner with my sister yesterday in The Rum Kitchen. 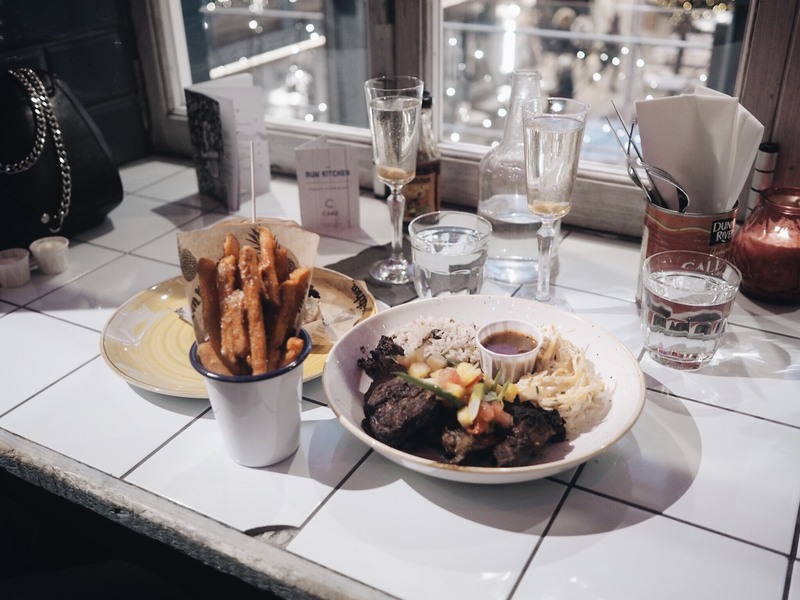 Delicious food and the best sweet potato fries ever. 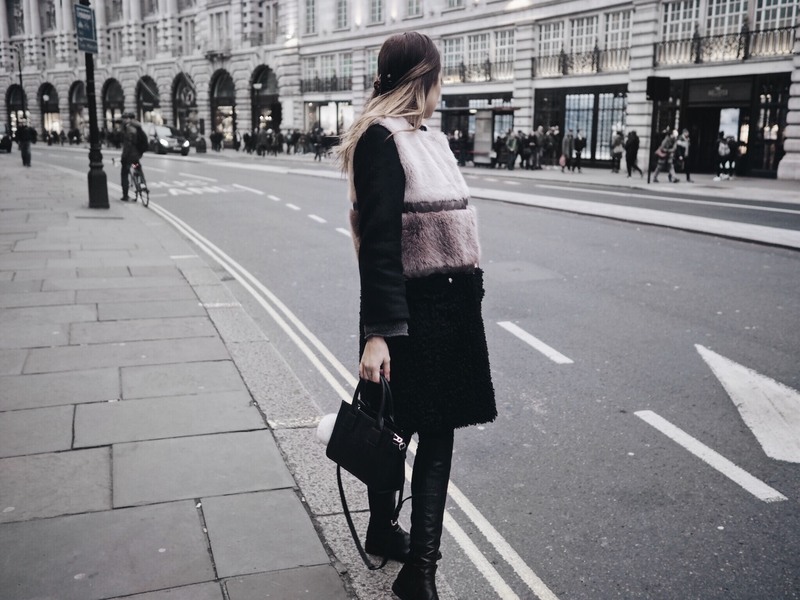 Really I am just here to show off my new faux fur gilet from Urban Code London. I think it's so damn beautiful, I wear it on top of my black Zara coat which is the exact same length so it just looks like a coat. Was so lucky with that. I am really trying to improve my blog guys and see if I should even keep going with it. Please please if you read my blog, still, if there is anyone coming here to look at the photos, leave any comment in the comments. Could be a heart, a dot or a letter, just anything. I need to see what I should do with this space. Manau youtube daug lengviau mane pazint, ir siaip man paciai idomiau paziuret video nei bloga skaityt! Myyliu tavo blog'a, nepraleidziu ne vieno post'o..esu tikras ikvepimas, tik nesustok ! skaitau! Bet youtube kanalas buvo atradimas. Video parodo tave visai kitu kampu ir atskleidzia tikraja asmenybe, kuri labai grazi! Your zodiac year in Chinese culture actually means bad luck that year! But don't worry, it's all superstition! And you can also wear red to drive away the bad luck - just a common Chinese belief :) Definitely wish you the best of luck for your zodiac year! Visad skaitau ir ziauriai myliu tavo bloga! Visad labai ikvepiantis <3 <3 Nenustok!